As per the data of the United States Citizenship and Immigration Services, Indians received 74.2% H1B visas in 2016 and 75.6% in 2017. There was a reduction in the number of new Indian beneficiaries in the program. There is a huge Demand for the H1B visa, but it is likely to fold up owing to the policy of President Trump which has a stress on “Buy American and Hire American”. Moreover, the onslaught on the H1B visa system, by the Trump administration comes in the backdrop of a confirmation that several beneficiaries of this program, during the past two years, were Indians. The USCIS data says that Indians were for 74.2% of the 345, 262 H1B visas to be approved in 2016. The figures for 2017 are 75.6% of the 365,682 visas. Chinese citizens received 9.5% of H1B visas in 2016 and also in 2017. The number for new Indian beneficiaries of the program was less. The figures are 70,737 in 2016 and 67,815 in 2017. In fact, they had a share of 63% in the new visas for both years. The increase in the total visas received by Indians was the result of renewals, or continuation of employment. Furthermore, presently the US has become less attractive to tap the Indian IT talent. Other nations are also stepping in to attract them. The government in Japan has a plan to employ 200,000 Indian IT professionals for expanding its infrastructure. Moreover, Canada is also becoming a new and attractive destination for Indian professionals. 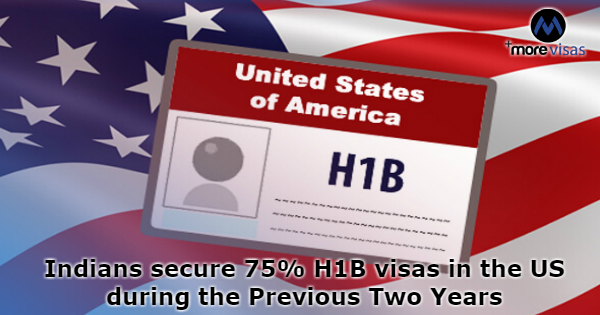 The H1B visa permits top skilled overseas professionals to work permit visas for three years. Some of them also get a renewal after the period is over. The term of employment is six years. Various technology companies use in hiring computer programmers and engineers. The share of occupations related to Computers is 70% in the H1B visas during the past two years. Demand for the visa is high. The annual target for this visa was completed only in five days. Presently, the administration is curbing it and it will have a major and disproportionate impact on Indians. In February 2018, the requirements of proof for H1B visa-holders became strict for third-party worksites. This will adversely affect the hiring process of Indian IT companies. This order validates the visa of an employee only for the time he/she is employed at the worksite of a third-party. There is no provision for issuing it for three years. Moreover, the government is thinking over introducing a policy to disallow the spouses of H1B visa-holders against seeking jobs. The way out of this scenario is to get a green card but that is not an easy choice for Indians. They have applied in large numbers, and also have to wait for 12 years to get the us permanent residency.